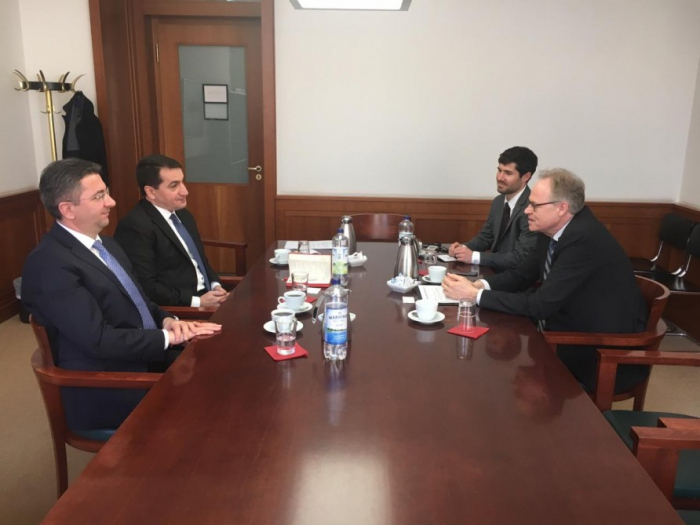 As part of his visit to Germany head of the Foreign Policy Affairs Department of the Presidential Administration of Azerbaijan Hikmat Hajiyev has met with Director for Eastern Europe, Caucasus and Central Asia at the German Federal Foreign Office Michael Siebert. They had a broad exchange of views on bilateral agenda, regional and international issues of mutual interest. Hikmat Hajiyev will also have meetings at the offices of the German President and Chancellor and leading research centers. He is expected to deliver a speech on the South Caucasus at the Bundestag.